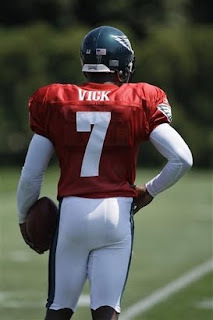 The Converse Blog: "What if" Converse Signed Michael Vick? Disclaimer: These are my views and opinions and should not be taken as any potential news or rumors. If you've been reading my blog then you know that I am not content with the current Converse. I've been searching for a more diverse Converse for years now. My desire to see Converse in more performance categories than just Basketball and Skateboarding led me to today's post. So let me simply ask a question, what if Converse signed Michael Vick? What really got me thinking about this was a recent post over at SoleCollector. So if you haven't read their article go read it real quick and then come back over here...or just click over there when you're done here, that's your call. 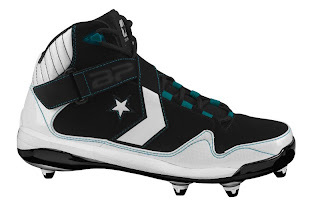 So my gears started to turn and I thought that it would be nice to see what a Converse Football cleat would look like today. So I took a picture of the Converse Artillery basketball shoe that is supposed to be releasing soon, I hope, and asked for a huge favor from the Internet's BP the Owner. BP is a photoshop wizard of the highest level, click over and check out some of his work. 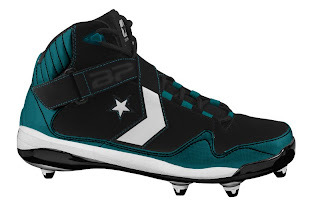 I asked him to work up a cleated version of the Artillery in Eagles colorways and he came through big time. Currently there are only a handful of companies producing performance football cleats, Nike, Reebok, Under Armor, Adidas, New Balance, Pony, and perhaps Starter with Tony Romo. Basically what I am saying is that there is room for Converse. There would be a large risk in signing Vick, but it's not like their football/training sales can go any lower considering they don't make any football/training products anyway. 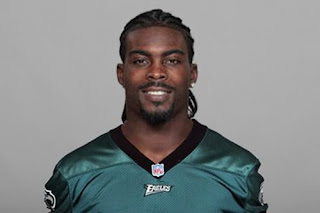 Signing Vick could jump start Converse in the Football and Training categories. It could also make huge strides in gaining the respect of other NFL players and Vick's fans. 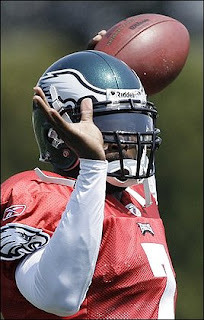 Of course the flip side is also true, signing Vick could drive others away from the brand. Regardless, any company associated with Vick will have to work hard with him and the Eagles to help and try to correct his previous wrongs. However, is a long shot because this would greatly disrupt the current status quo at Converse. Also, Nike seems determined to push Converse towards a fashion only brand. And if they really wanted to enter the football and training markets there are probably much better ways to do that...but it sure would be fun. I'm not trying to be negative, but sometimes it's fun to just dream about what could be. Thank you for checking out the blog and don't forget to follow us along on Twitter @TheConverseBlog! Let's face it Nike is killing Converse...less fashion more sports. I mean it is hard as hell to get a jersey or shorts to go with my cons.